When I am in Berlin I generally have a light breakfast of fruit, yogurt and muesli, or perhaps I will have one egg on a small piece of toast. It is only on special occasions when I am with family in Ireland or the U.S. that I will go mad and have pancakes, waffles, omelettes and bacon. Several of my siblings love making pancakes and french toast so it is always nice on holidays to indulge a bit and eat the delicacies that are placed before me. 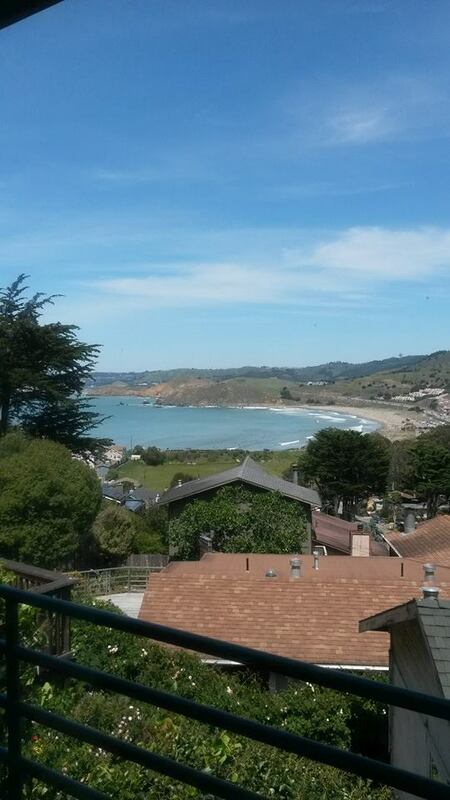 My aunt and uncle live in Pacifica which is a town on the Californian coast just south of San Francisco and north of Half Moon Bay. 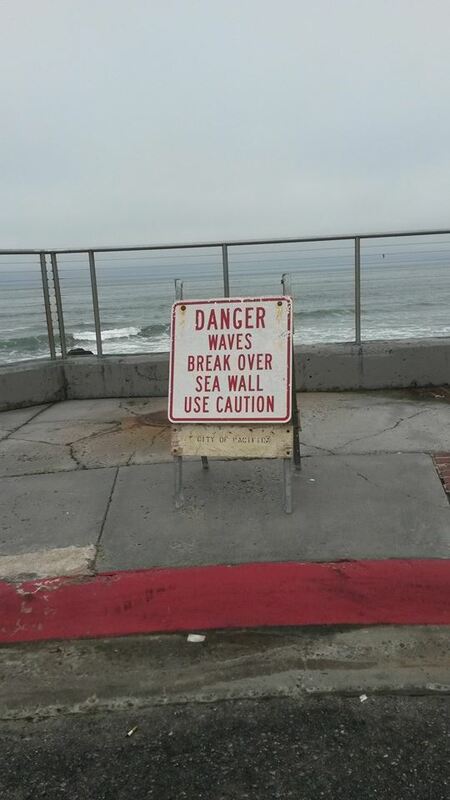 My dad grew up there before he moved to Ireland and he and my uncle were keen surfers. 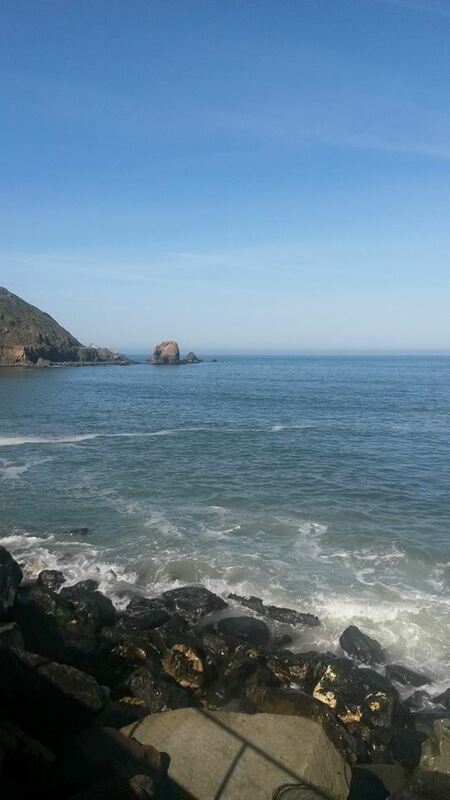 Pacifica has a popular surfing beach- Linda Mar Beach-which attracts surfers from all around the Bay Area. 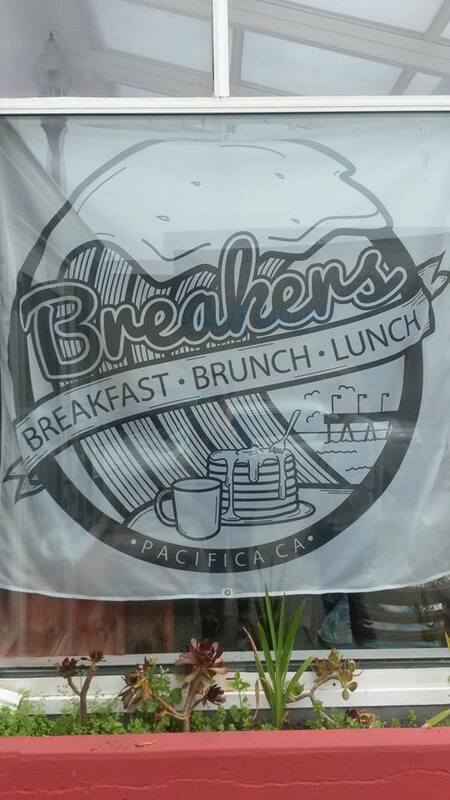 A new breakfast, brunch and lunch restaurant named Breakers opened in Pacifica last year, and while I was visiting my aunt and uncle this May we went there for breakfast twice. Just over the hill from Linda Mar Beach is the Pacifica neighbourhood of Rockaway Beach which has a few other nice restaurants too such as The Moonraker that my grandparents used to take me to in the 90’s and Nick’s which has cocktails and crab cakes. Breakers is run by father and son Steve and Robbie Bancroft from Pacifica and it is their dream come true to finally open this restaurant. 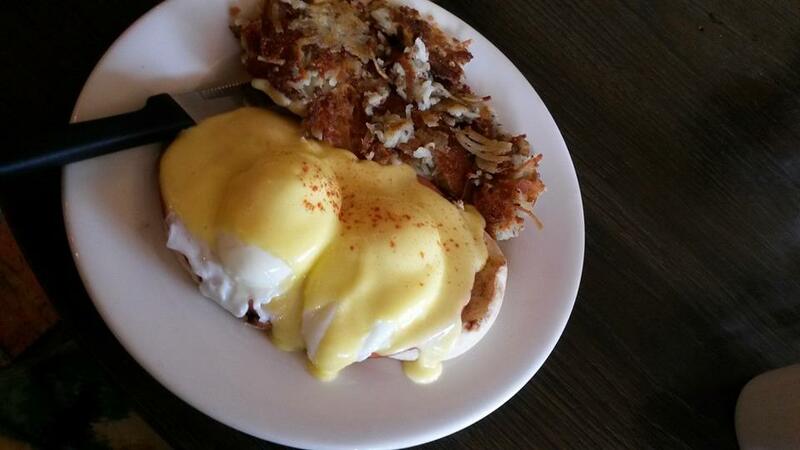 The first time I went there I couldn’t resist the Eggs Benedict with crab cake and hash browns. The second time, when my sister came along we ordered the plain Eggs Benedict and a large blueberry waffle which we then split. The hardest decision at a breakfast place like this is deciding whether you are in the mood for a sweet or savoury dish so it is great to be able to order both and share. Some of the neighbours joined us for breakfast and one of them ordered the chocolate chip pancake which looked like a giant chocolate chip cookie. The fun bit of course, is then covering it in whipped butter and heated maple syrup. The Breakers wait staff always make sure you have a full pot of fresh coffee and a jug of iced water on your table too. Other specialities include a Lox and Bagel, Eggs Florentine with sliced avocado and spinach, cranberry pecan pancakes, raisin walnut pancakes, as well as every conceivable type of omelette. Breakers, which is located at 135 Rockaway Beach Avenue, is also open for lunch serving lunch crepes, tuna melt on rye bread, burgers, Reuben sandwiches, clam chowder and a great variety of salads. I felt no guilt in indulging because after breakfast when staying with my aunt and uncle we always go for a long walk on the beach and then climb the extremely steep hill back up to their house which certainly burns the calories off again. Breakers is a delightful place to breakfast while on holiday and I look forward to going back sometime and trying their enticing lunch menu.